French climber Alain Robert, also known as the "French Spiderman", climbed Manila's 47-storey GT Tower on Tuesday. 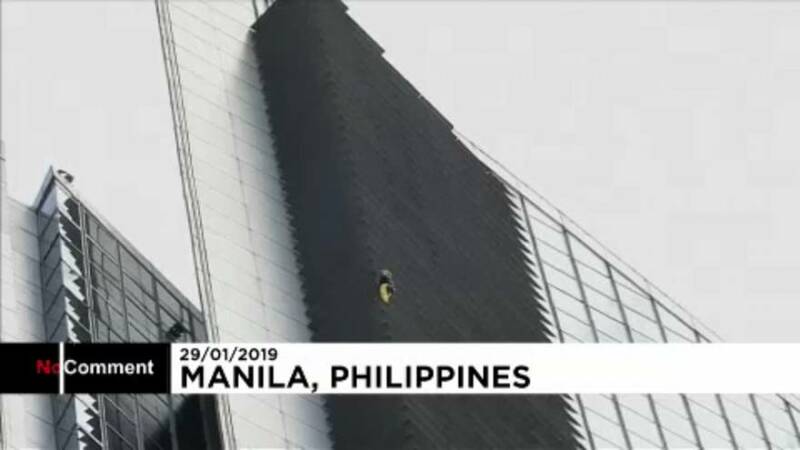 Videos shared on social media showed people trying to get a glimpse of Robert during the climb in Makati City. After his descent, he was promptly arrested by authorities and driven away in a police vehicle. The 56-year-old was given his nickname after climbing the Sears Tower, now the Willis Tower, in Chicago in 1999. A hobby that started when he was 11 has taken Robert to more than 150 skyscrapers around the world, including Dubai's Burj Khalifa — the world's tallest building — the Eiffel Tower, and the Sydney Opera House.